The RED COAT LIST! - The only reason this is at the top of this page is so that you the reader do not miss it! 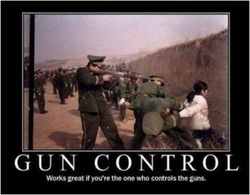 If your local law enforcement officer, County Sheriff or an Anti-Gun organization you belong to is on here and you are an American Conservative supporter of the 2nd Amendment, I suggest you have a talk with your law enforcement officer and stop paying your dues to any organization that supports "anti-gun" laws! one who honors the Constitution! Front Page Magazine just names Sheriff David Clarke their ‘Man of the Year’. Even though liberals couldn’t be anymore ticked about this, we love it. 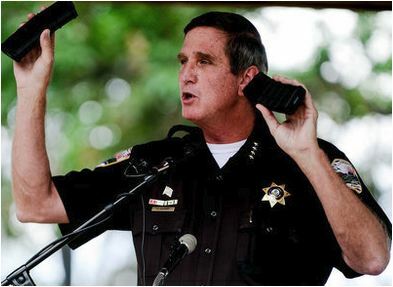 The outspoken Sheriff has spoken the truth with boldness about Obama, and the leftists that are destroying America, time and time again. 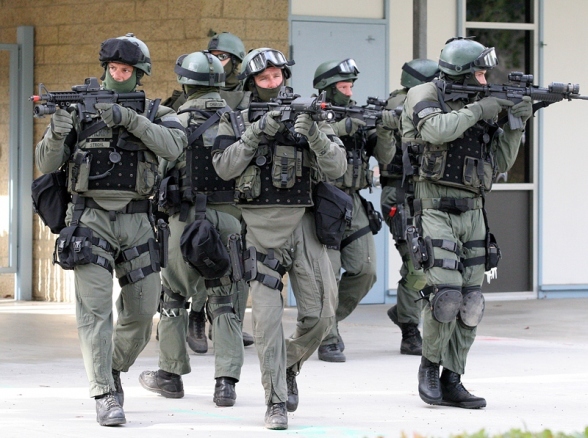 There is a war on police. 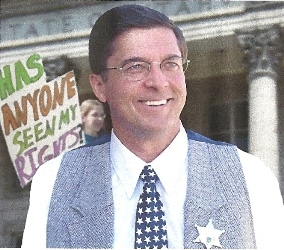 Dear Friends: As you are aware, I have been drawn into a dispute with the Sussex County Council over the County's efforts to seriously limit the abilities of the Sheriff's office to perform the duties entrusted to me and my deputies by the people of Sussex County and by the Delaware Constitution. Although I have tried to seek a reasonable outcome, the response of those people who wish to suppress the ability of the Sheriff's office to do the people's will has been a failed legislative effort to statutorily neutralize the powers of my office. Further, Attorney General Biden recently has issued an opinion that, based on questionable authority, attempts to further strip the Sheriff's office of its Constitutionally granted power. 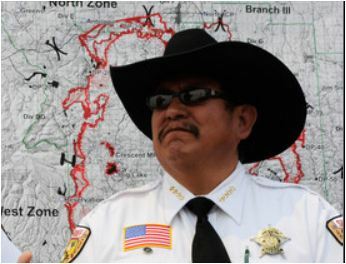 OUR BORDER SHERIFF'S IN TROUBLE! 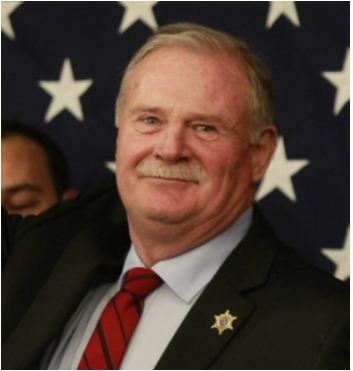 Border Sheriffs is raising funds to help Sheriffs such as Cochise County’s Larry Dever have a voice in the lawsuits filed by the Federal Government to prevent our Sheriffs from enforcing the law they are sworn to enforce. They also need our help to defend themselves against lawsuits from the ACLU and more than a dozen other open border activists who don’t want to see SB 1070 enforced. 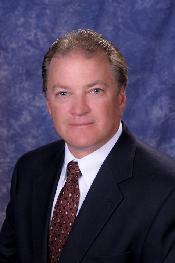 Sheriff Larry A. Dever has dedicated his life to protecting the citizens of Arizona. Border Sheriffs is attempting to return the favor by helping defend law enforcement in court so that they can enforce our laws against illegal immigration, stop the resulting violence, drug trafficking and families facing harm’s way because no one is policing our border. Arizona is a state that has seen an invasion of illegal immigrants continue unabated for years. Illegal immigration has taken its toll on Arizona in the form of billions of dollars spent on social services, education and prison costs. 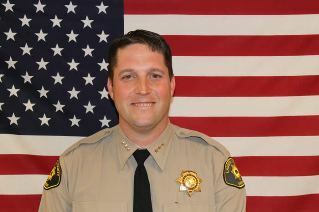 Sheriff Dever died in a single-vehicle crash brought out responses at every level Wednesday -- in the small towns of southeastern Arizona's border county, and in the halls of power in Phoenix and Washington. 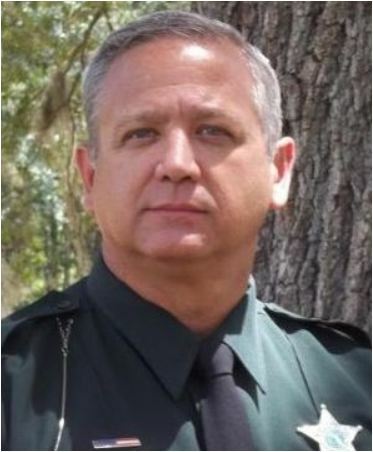 The rural sheriff had achieved national prominence as an opponent of illegal immigration. His deep, calm voice sometimes contrasted with the shrill shouting on cable TV. Dever was passionate about his aims, but kept his emotions in check, and his trademark cowboy hat ever-present on his head. The demeanor was genuine, those who knew him said. "That wasn't an act," said Cochise County Supervisor Pat Call, "That was Larry. Absolutely." Dever died at age 60 on Tuesday night, when his pickup truck crashed on a rural road just south of Williams in northern Arizona, where he had apparently headed to join one of his sons for a hunting trip. In this 3-part video interview with Tony DeMeo, Sheriff of Nye County, Nevada, he explains that he is a Constitutional Sheriff and that authority for public office holders is derived from the people. 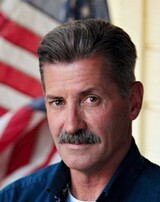 He tells the story about how he used the Constitution as his foundation in the saga of Nye County rancher Wayne Hage's disputes over encroachments by the federal government. While Wayne Hage's case centered around property rights in federally managed lands, Sheriff Tony DeMeo's example is relevant for everyone to understand the power of local government, the importance of following the Constitution and upholding the Tenth Amendment (states' rights and sovereignty). Wayne Hage, the author of "Storm Over Range Lands", Private Rights in Federal Lands" owned the Pine Creek cattle ranch in Nye County. Wayne Hage wrote his book after suffering illegal cattle seizures by armed federal agents and chronicled the history of how the robber baron bankers and railroad magnates monopolized the western states over 100 years ago. Hage wrote that the northern core financiers were aware that there are two ways to monopolize any resource, "One, get all of it for yourself that you can; two, keep anybody else from getting what you can't." Public Lands and National Forests were created along with restrictive regulations, using environmental protection as the excuse. CSOPA is the Consittutional Sheriff's and Peace Officers Association. These funds are used to defend officers wrongly acussed or defending their office as in the Delaware case. Our mission: To educate and equip sheriffs, peace officers and public officials with the necessary information and public support to carry out their duties in accordance with their Oath of Office. Adding a new wrinkle to the phrase, "I'm mad as hell, and I'm not taking it anymore," several California sheriffs, as well as one from Oregon, say they aren't cow-towing to the federal leviathan anymore. Last month, at the Yreka fairgrounds in northern California, the sheriffs - who, of course, are elected by the people - gathered with a large group to discuss what to do about Big Brother and his consistent meddling in state and local affairs. 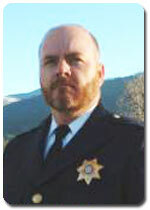 Speaking of the federal bureaucracy, Plumas County (California) Sheriff Greg Hagwood declared, "A giant has been awakened, and they didn't count on that." One by one the sheriffs recounted their experiences with an ever-encroaching federal government, whether from the aspect of emergency management, the foisting upon local jurisdictions of federal mandates, or the passage of federal statutes which many now feel run roughshod over state and local governments, inhibiting their ability to mold their own laws and policies around the needs of their respective populations. "I had spent a good part of my life enforcing the penal code, but not understanding my oath of office," Sheriff Dean Wilson of Del Norte (Sacramento) County told the group. "I was ignorant and naive, but now I know of the assault against our people by the federal government," he said, receiving some of the loudest and longest applause of the gathering. Event host Sheriff John Lopey of Siskiyou (California) County said one of his biggest pet peeves was the federal government's ever-increasing environmental regulations. "I have told federal and state officials over and over that, yes, we want to preserve the environment, but you care more about the fish, frogs, trees and birds than you do about the human race. When will you start to balance your decisions to the needs of the people? We are right now in a fight for our survival," he said. The Sheriff's listed here have been at the forefront of standing for the Constitution and the Americans they were elected to protect and support. Their fight has been long and they are still standing! dies in a single car crash! The following list is from the website of Constitutional Sheriff's who have stated they will stand up for the Constitution especially the Second Amendment - it will be updated weekly! 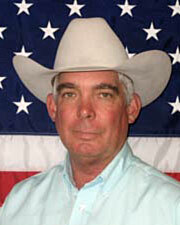 Sheriff Dave Campbell serves both Baca and Prowers Counties. Broomfield County has no Sheriff and the Sheriffs of Arapahoe, Boulder and Denver are opposed to the position taken by the Colorado Sheriff's Association. Charlotte County, FL Sheriff Bill Prummell, Jr.
Otsego County Sheriff Richard Devlin Jr.
Grand County Sheriff James B. Nyland Sr.